Are you facing a separation or divorce? Learn the strategic Dos and Don'ts of how to prepare. Yet when you find yourself faced with this situation, it can feel like you’re all alone. Alimony, child custody, equitable distribution, and other marital disputes can be intimidating, complicated, and emotionally draining. The process for ensuring the best outcome can be long and involved. Choosing the right attorney to represent you is the most important first step. 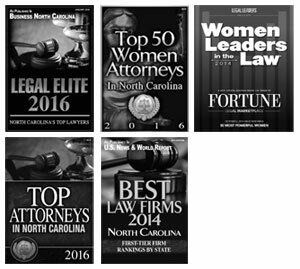 Close Family Law is a top family law practice in Raleigh that provides high-quality legal representation for men and women facing divorce. Our firm has successfully guided hundreds of people through the North Carolina separation and divorce process. Our North Carolina family law attorneys understand the steps to take to protect you, and we develop strategies tailored to each unique situation. No matter what you’re dealing with, we can help.